On Monday we will be handing out letters re the Christmas post. The emphasis this year is please sell more stamps – this means more letters in boxes and more post to deliver. We need to each sell stamps to friends and neighbours and work colleagues, over the next 2-3 weeks. They are only 30p and cover most local areas – a poster is available to advertise this and the letter explains the procedure and asks you ALL for help in one way or another. Our Green Post boxes go out at end of November in shops in the city, and sorting will be during the 7th-13th December. 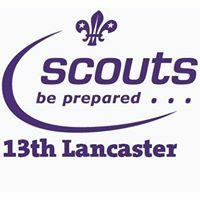 Please support this Scout Post effort as much as you can, it helps our funds, and is a Scouting community effort. Stamps will be on sale at the hut from Monday. Cash with orders please.